NOTE: This product is a Pre-Order and is not currently available. The estimated release date is May 2019 (subject to change). MAX 2 per customer. Orders containing preorder products will be held until all preorder products on the order have arrived in our warehouse. 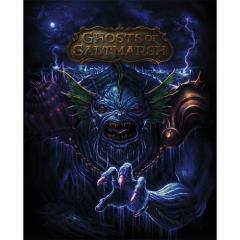 Ghosts of Saltmarsh brings classic adventures into fifth edition Dungeons & Dragons. This adventure book combines some of the most popular classic adventures from the first edition of Dungeons & Dragons including the classic U series, plus some of the best nautical adventures from the history of Dungeon Magazine: Sinister Secret of Saltmarsh, Danger at Dunwater, Salvage Operation, Isle of the Abbey, The Final Enemy, Tammerauts Fate, The Styes.